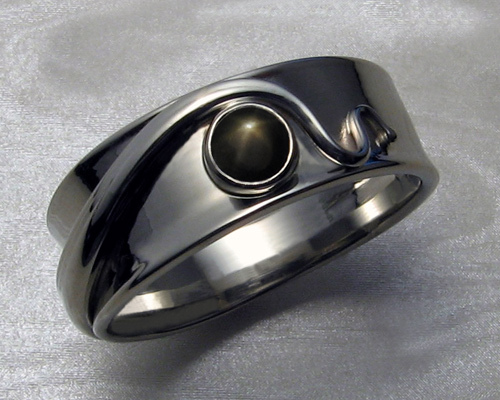 Feeform spiral ring with iolite stone. Freeform spiral representing opposites embracing. Handcrafted in 14k white gold with bezel set Iolite stone.